The 22-year-old has been one of the most creative forwards in FPL over the last four Gameweeks. Iheanacho has supplied three assists during that period, second only to the four of Callum Wilson (£6.4m). The Leicester City striker also placed second among forwards for chances created, with his total of seven bettered only by Raul Jimenez (£5.6m), with nine. He also scored against Huddersfield Town and tallied 23 FPL points over the last four Gameweeks, equalling his strike partner Jamie Vardy (£9.0m). Assessed against his early-season displays, Iheanacho's prospects are on the rise. He created only two chances in the first four Gameweeks, earning a mere nine FPL points. That improvement has been helped by a run in the Foxes' first-team. Iheanacho was named on the teamsheet in only two of the first five Gameweeks, but has since started each of Leicester's last three matches. His impact suggests that he can continue in Claude Puel's line-up. Indeed, when selected, Iheanacho has scored or assisted in 46 per cent of Leicester's goals, more than any team-mate. That highlights his form ahead of a fine upcoming schedule for the Foxes. After their Gameweek 9 trip to Arsenal has passed, Leicester's following six matches score no more than three in the 2018/19 Fixture Difficulty Rankings (FDR). 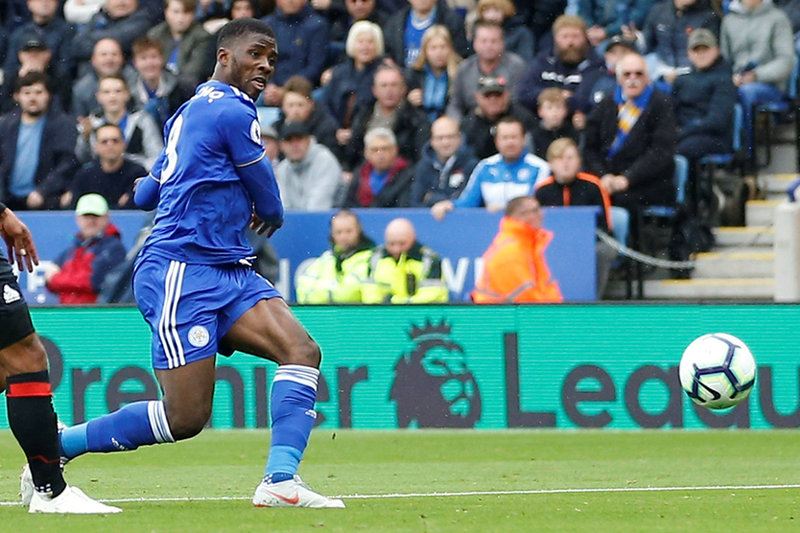 At a cost of only £5.9m, Iheanacho has the platform to become a big budget favourite if he continues in the Leicester XI.